1ST-TIME BUYER OR DOWNSIZING! PERFECT! 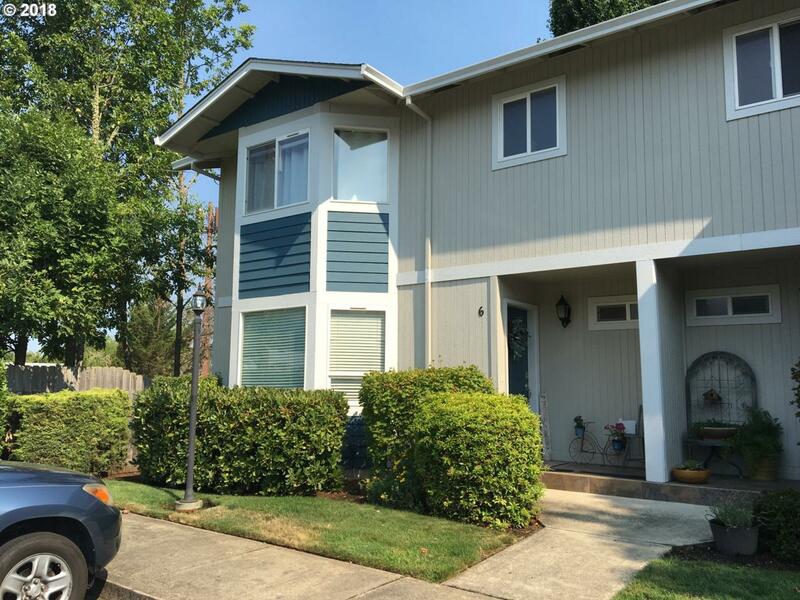 Lg 2-story 3-bed/2.5-bath townhouse condo in Roseburg. Bright, cheery and low maintenance. Offers a traditional dining room, large living room and master suite both with bay windows, first-floor laundry, kitchen with black granite & dishwasher, breakfast bar, garbage disposal. 3 parking stalls. End Unit with nice views. New roof in 2016. Ext maintenance, garbage & landscaping included in HOA fee.